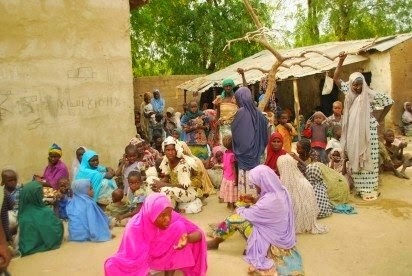 With about three weeks to the May 29, 2015 time frame given by the military to totally clear Sambisa forest of the remnants of the Boko Haram terrorists, the number of women, young ladies and children rescued by special forces has hit 1,000. Military sources disclosed that consequent on the pursuit of the terrorists and the sustained air and land bombardments, the terrorists have become tired of running away with many of the women particularly the younger ladies still in the possession. The attempt to continue running with the ladies is made worse by the fact that the limited vehicles and trucks in their possession with which they have been ferrying the women and girls, have become a problem following the bursting of their fuel supply source.